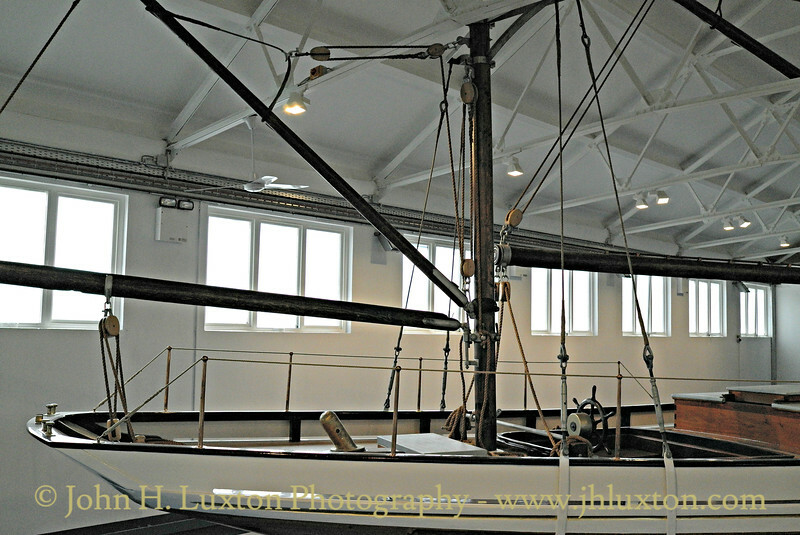 This series of photographs taken on August 28, 2013 of the historic yacht ASGARD which is now displayed in the Collins Barracks Museum complex in Dublin. 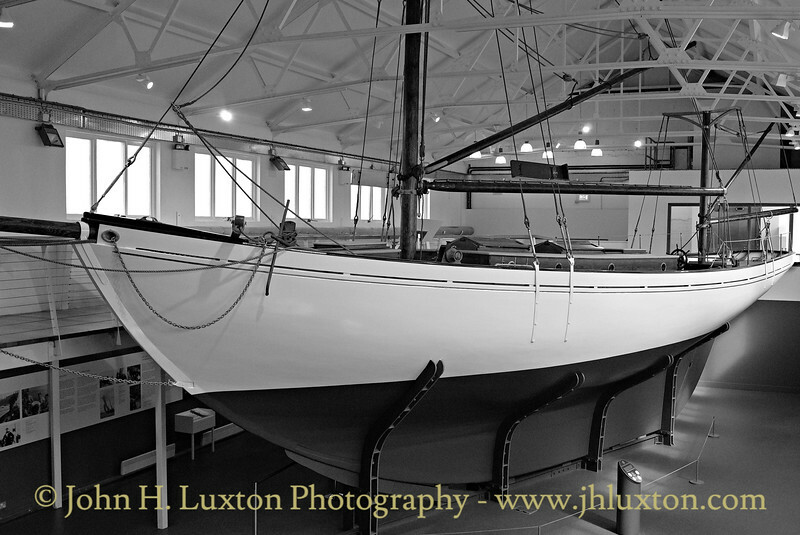 The yacht was restored and conserved over a period of five years from 2007 to 2012. 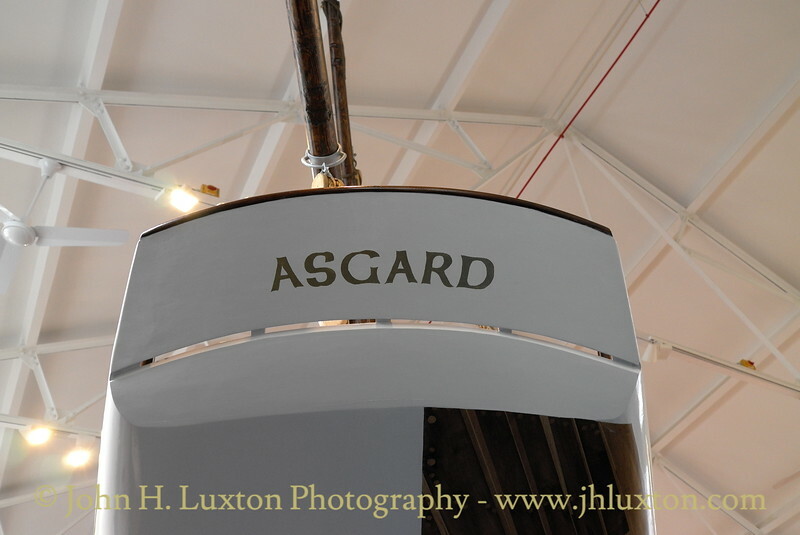 The ASGARD is open for public inspection during Museum opening hours, admission is free and well worth a visit. 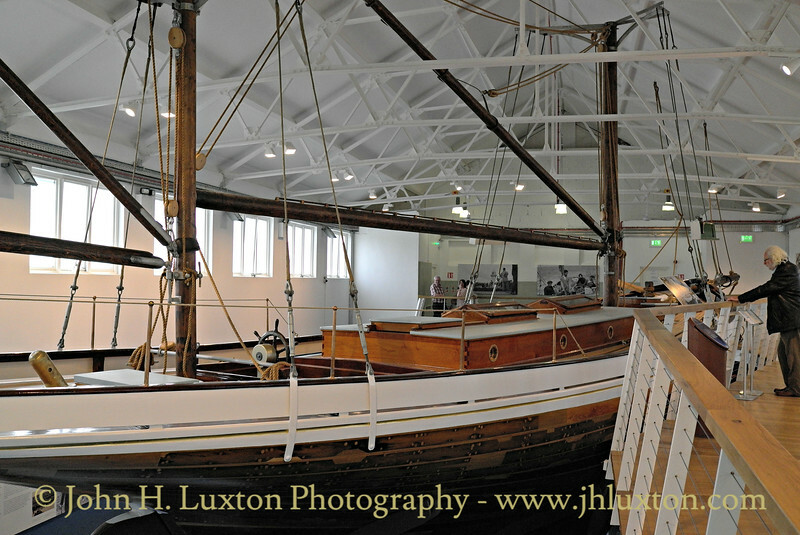 Probably the most significant vessel in the history of the Irish state ASGARD was built by Norwegian yacht designer Colin Archer and owned by Robert Erskine Childers (author of the spy novel "Riddle of the Sands") and his wife Molly. 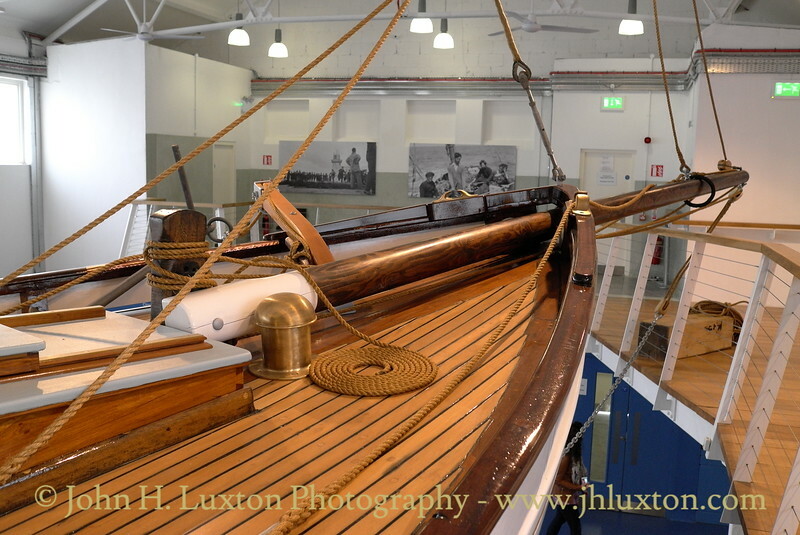 ASGARD was used to deliver German rifles to Howth Harbour shortly before the outbreak of WWI to arm the Irish Volunteers. These weapons would be used by Irish forces during the 1916 Easter Rising against British rule. 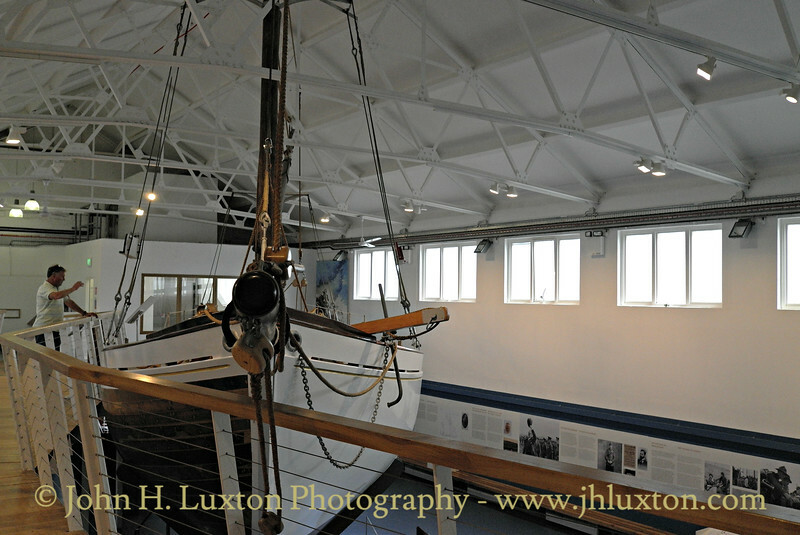 During World War I Childers held several positions in the British armed forces including that of an officer on board the Isle of Man Steam Packet ship BEN-MY-CHREE which had been converted to a sea plane carrier by Cammell Laird. After WWI Childers returned to Ireland and joined the provisional Sinn Féin government as director of publicity. Following the Anglo- Irish Treaty, which established the Irish Free State, Childers took the anti-treaty side in the Civil War which followed. This was to lead to his arrest and subsequent execution for the possession of a fire arm by the Irish Free State authorities. 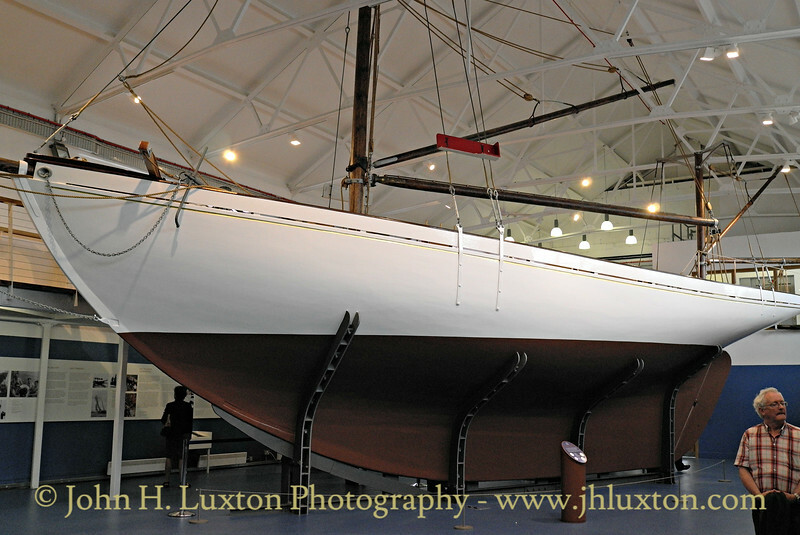 ASGARD which had been laid up during WWI in Wales was eventually sold by Molly Childers. 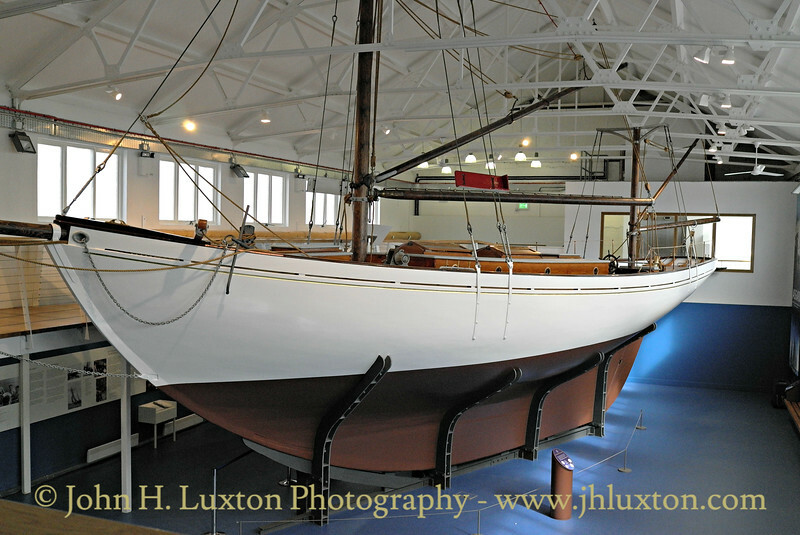 In 1961 ASGARD was acquired by the Irish State and following a re-enactment of the Howth Gun Running was then employed as a sail training vessel until retired to Kilmainham Gaol for public display in 1974. 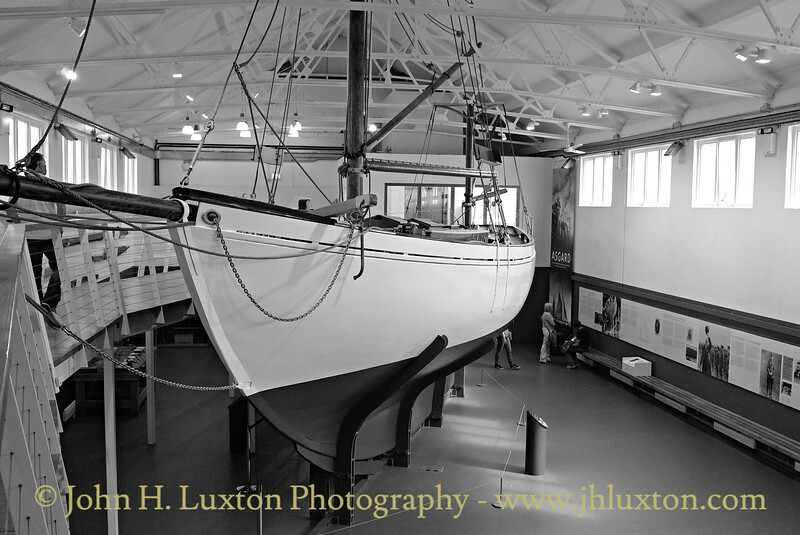 She remained at the Gaol until 2001 when she was removed for restoration. 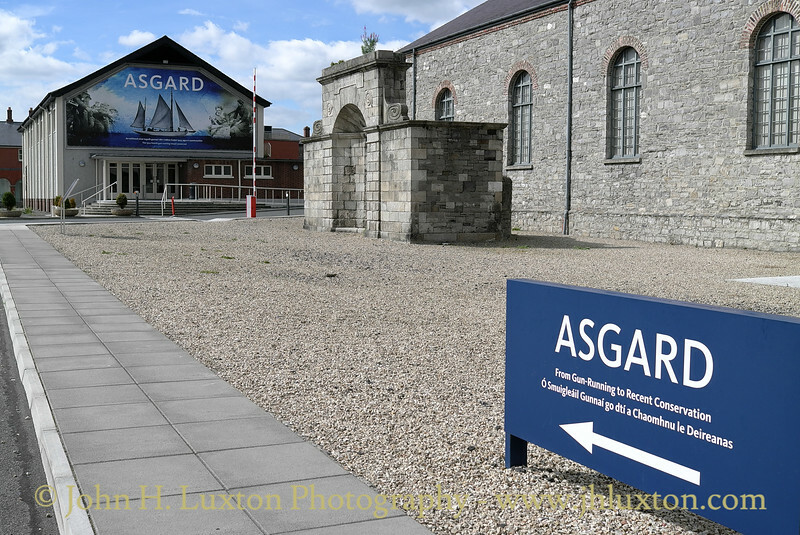 ASGARD is displayed in its own building in the grounds of the historic Collins Barracks in Dublin. 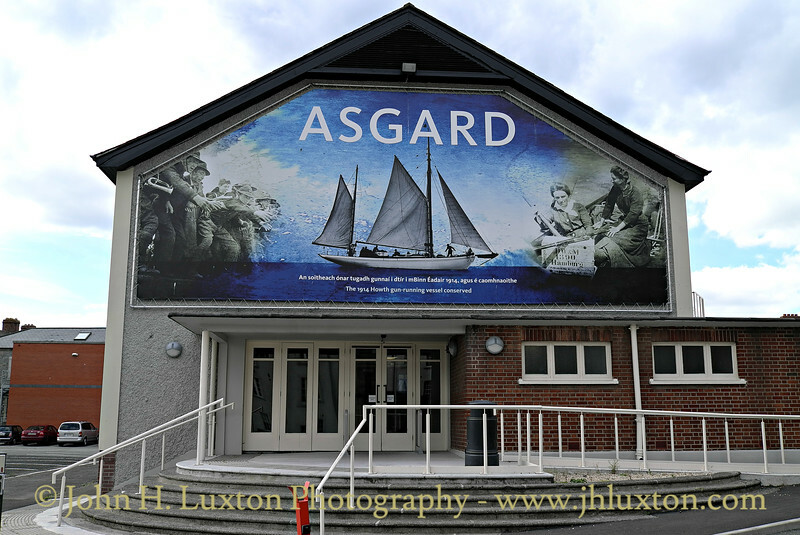 The ASGARD building originally served at a hymn for the Irish Army. Stern view of ASGARD. 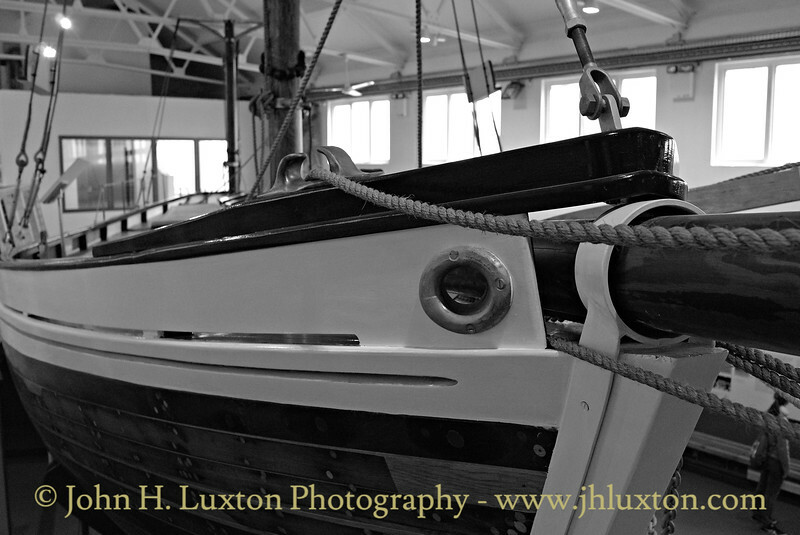 Only one side of the hull has been painted the starboard side has been left unpainted to clearly show the planking. 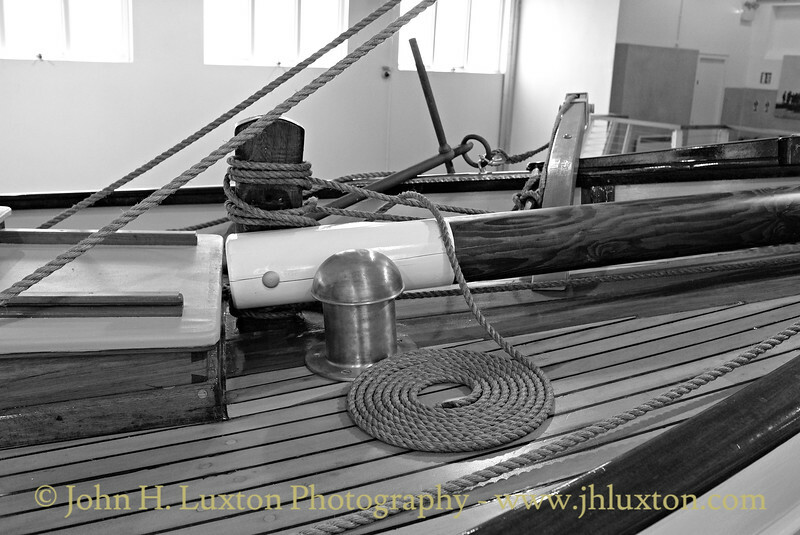 Port side of the ASGARD. 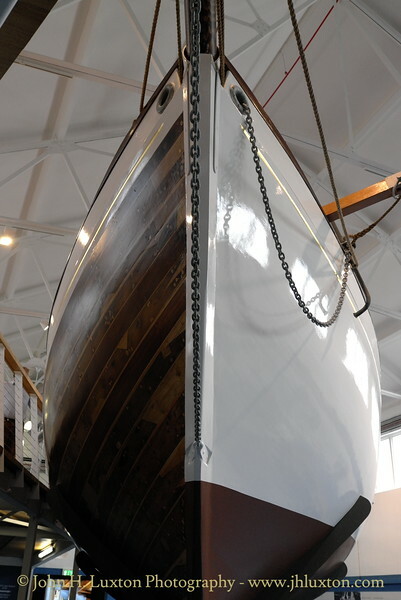 This view clearly shows how the vessel has been restored to reveal both the finished hull port side and the planking starboard side. 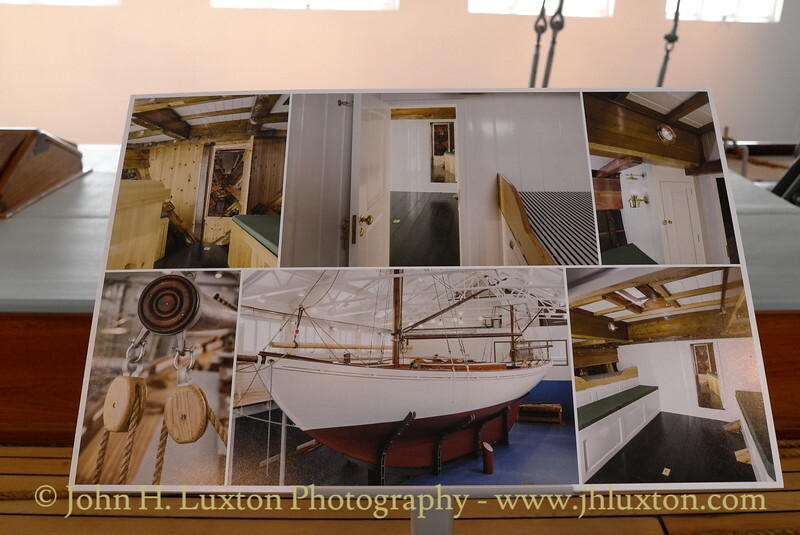 Although the interior is not open to the public it has been fully restored as shown by these photographs. 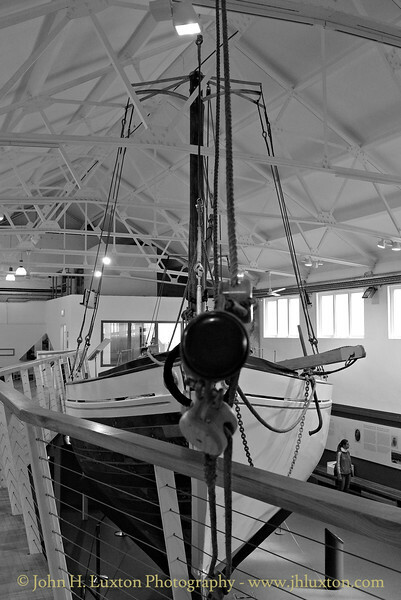 For those that remember the rather care worn exhibit in the yard at Kilmainham Gaol the restored vessel makes an interesting contrast. 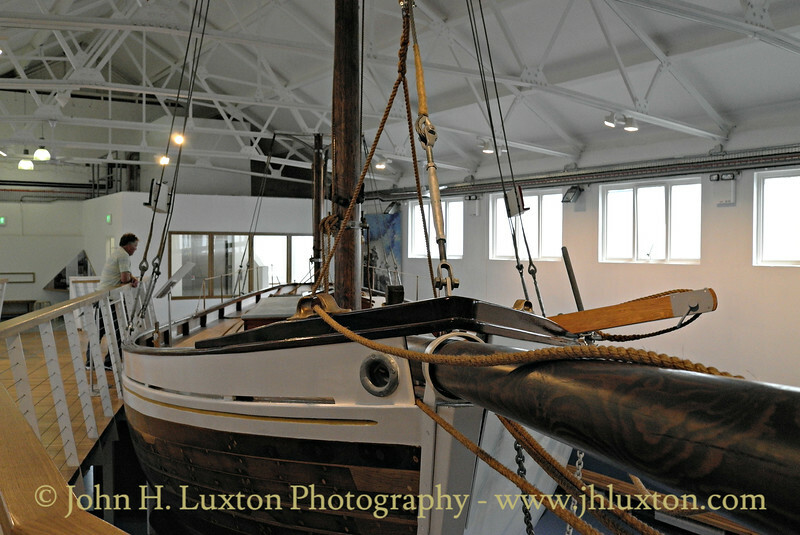 Port side of the ASGARD which is fully restored. View down the port side of ASGARD. 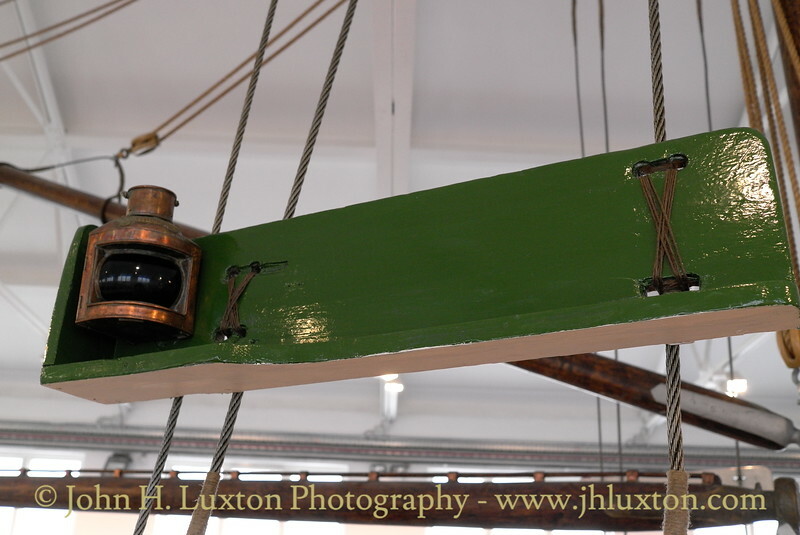 Starboard side navigation light - ASGARD. 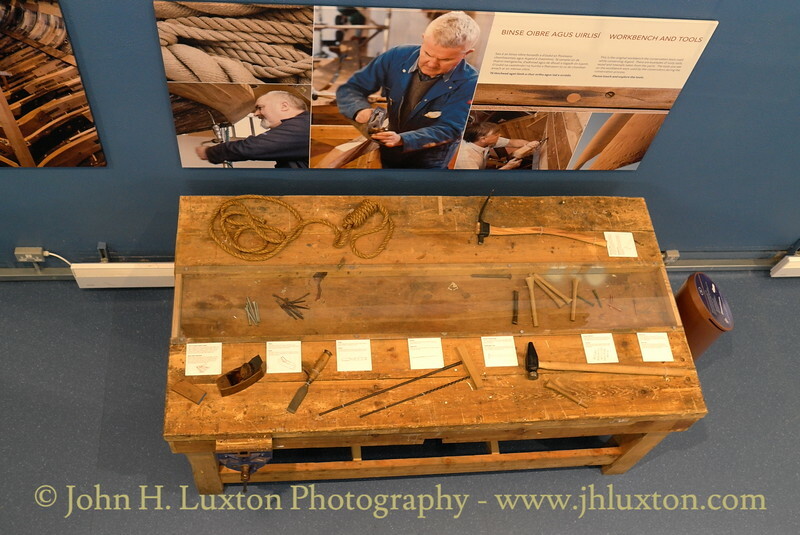 Work bench and tools used during the restoration of ASGARD. 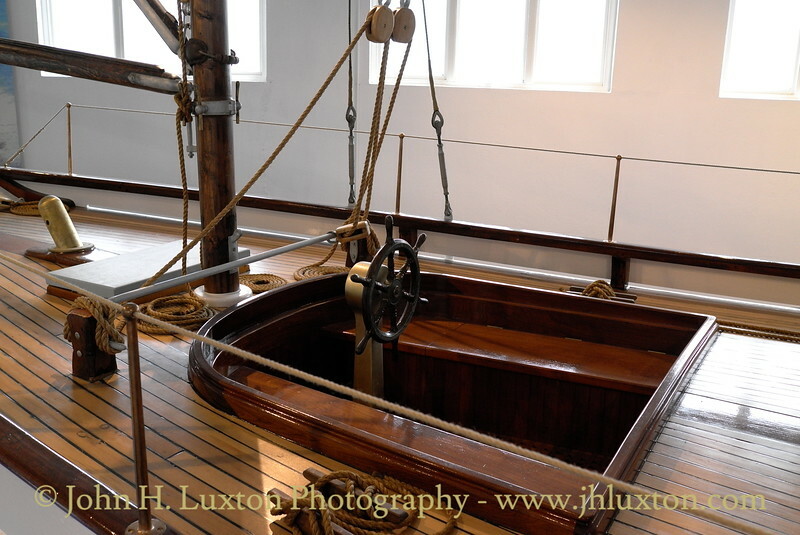 Stern and cockpit of ASGARD.